A complete list of all the things you need to pack for a Galapagos cruise, and what not to bring along. In recent years the Galapagos Islands have become a big tourist magnet for luxury travelers and wildlife fans around the world. Most visitors to Darwin’s Islands decide to take a cruise. While not exactly cheap, this really is the best option to visit the national parks of Galapagos, since so much is off limits for regular tourists without a permit. This packing guide is written from a cruising point of perspective. 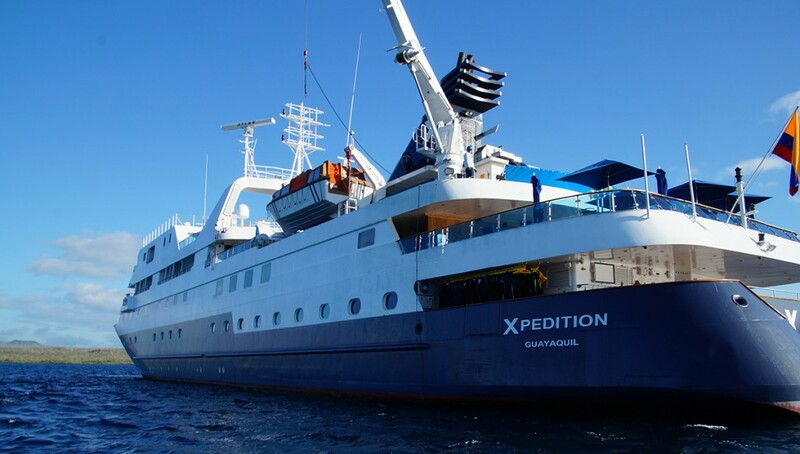 To be quite honest there really would not be a big difference, if you’d decide to explore the Galapagos Islands from a base on land since you will have to take a boat at one point or the other to reach the more secluded areas (but you need to pack wisely either way). 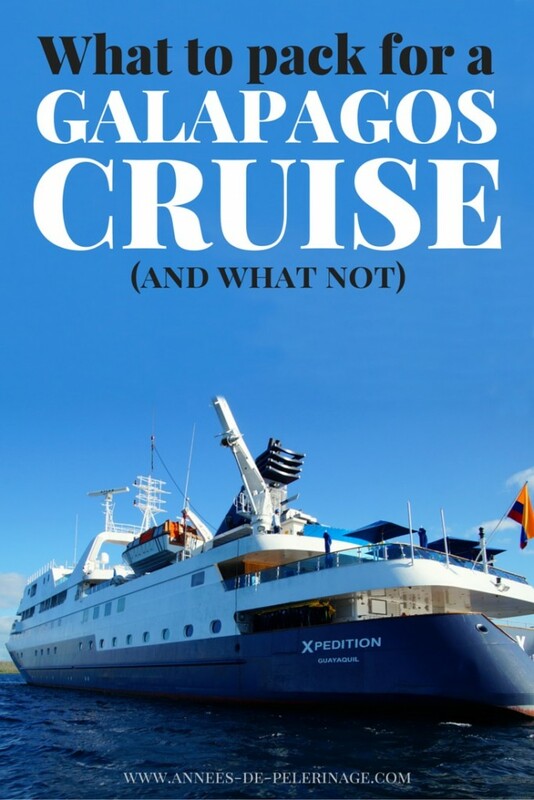 If you want to know more about what you will expect on Galapagos, I’ll recommend you to read my extensive Galapagos travel guide. But let’s start with my guide on what to pack for a Galapagos cruise. 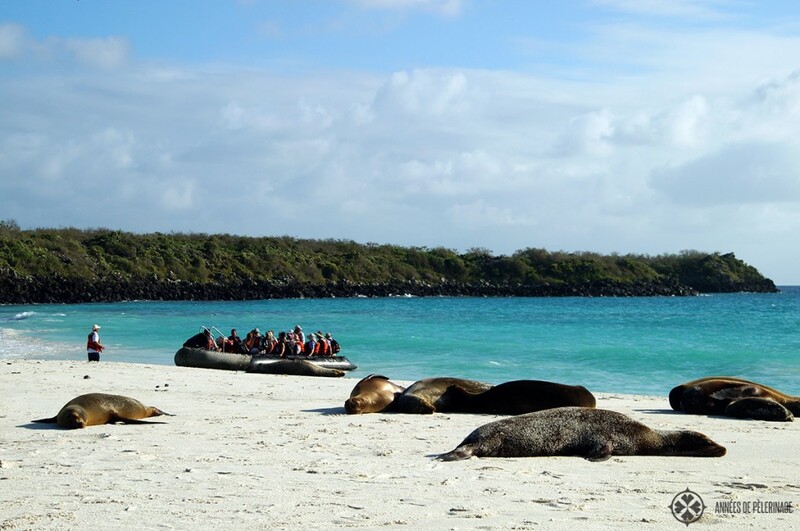 The climate on Galapagos is very mild throughout the whole year, averaging around 25 to 30 degrees Celsius. Remember: Galapagos is located right on the equator, so there are hardly any seasonal changes. That being said, you should approach packing for your vacations on Galapagos much like you were going on an expedition. Do skip all the finery and bring along things that make your exploration more comfortable and memorable. 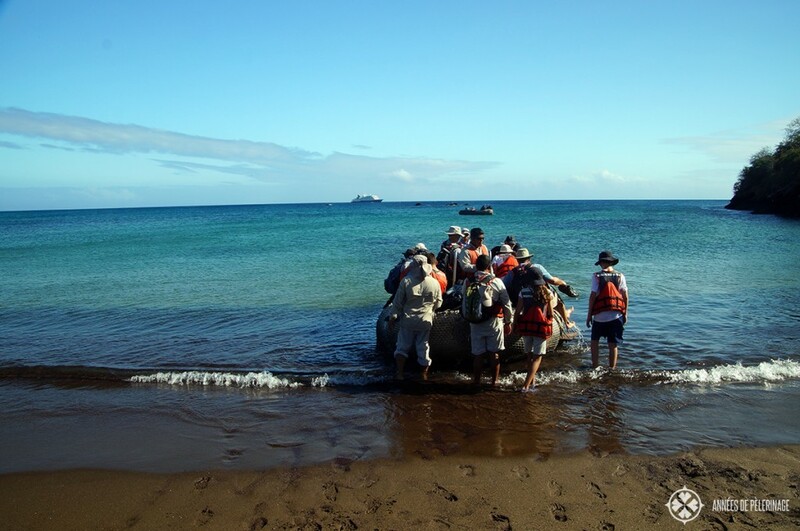 You will have a lot of wet landings on Galapagos where you will disembark right from the landing boat into the surf. So pack some water shoes. 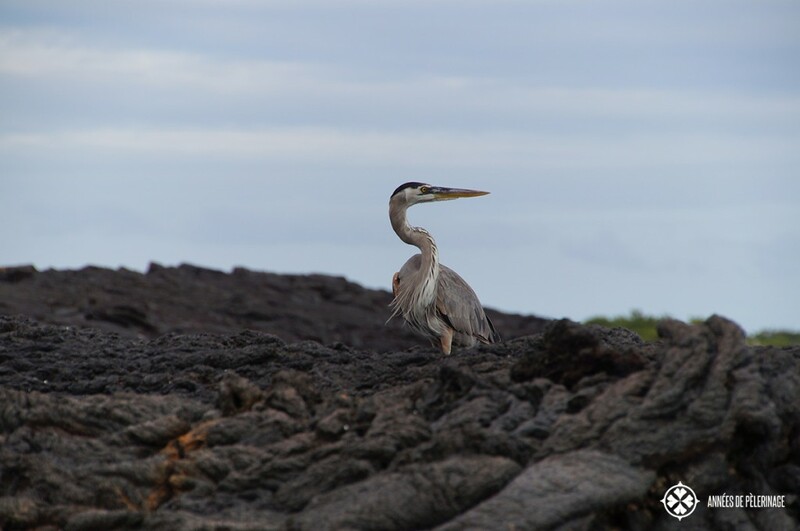 Also the ground on Galapagos features plenty of sharp-edged lava rocks, so you will want to pack something more durable than flip flops. You will be crossing lots of different terrain (sand, gravel, rocks) on most of the excursions. You won’t do any actual hiking and mostly track along predefined pathways. So you probably won’t need to pack anything with high ankle support (though it could help the less surefooted). I swear by the Adidas Terrex Swift but I guess every man and woman has his own favorite shoe brand ;-) Some landings are dry, meaning on a pier. Also, I have seen people changing shoes once they were on solid land (not always an option). Galapagos is one of the best places to snorkel or dive on this planet, so do bring adequate swimwear. Focus on function (yes, I am talking to you, ladies!) and consider bringing a second pair. 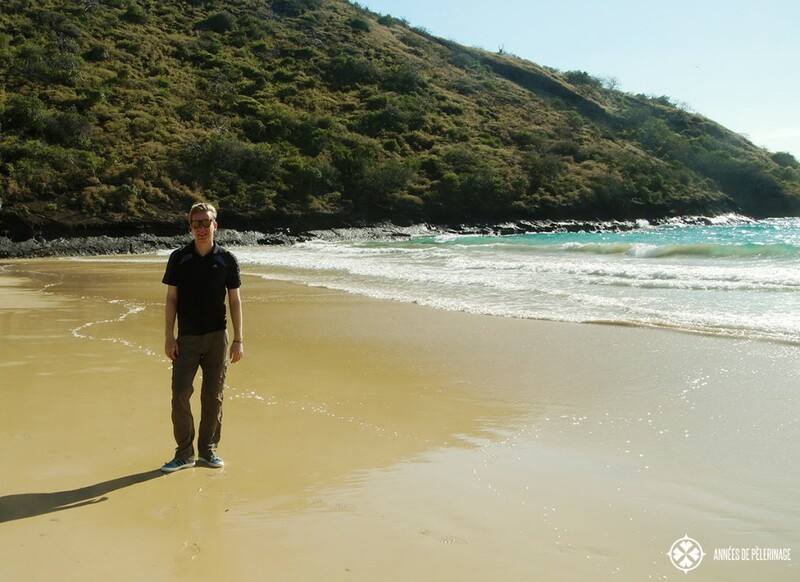 The water on Galapagos is considerably cold. You will also need a wetsuit. 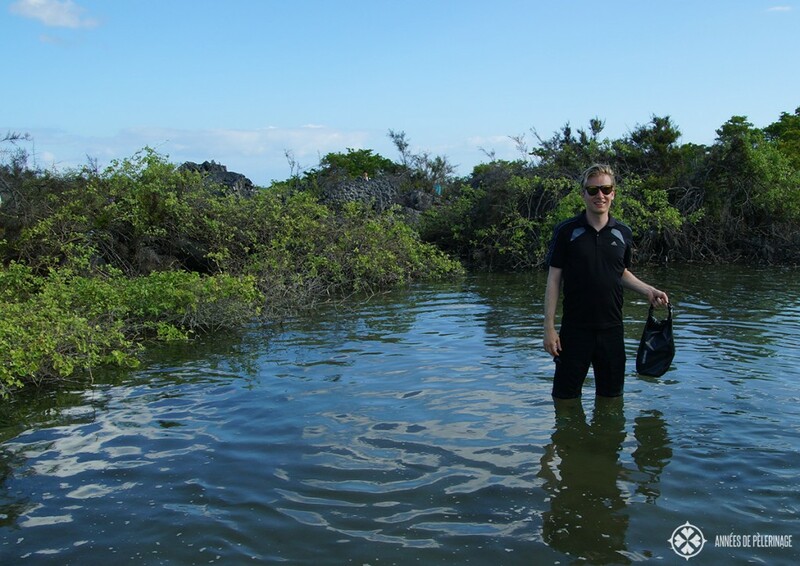 Most cruises offer them on a complimentary basis for passengers, so actually no need to pack a wetsuit for your Galapagos cruise, except your prefer to use your personal one. You will get wet on your excursions. The intense heat might have you sweating or you’ll get soaked during the wet landings. Packing anything synthetic or cotton for your Galapagos cruise will be fine. Take along full-length hiking pants and some (two would be enough) shorts or skirt. I am a bit fan of the Scandinavian brand Lundhags (you can see me wearing their stuff in most outdoor pictures). Loving the Lundhags Baalka Pant but there are also cheaper alternatives available, obviously. Absolutely avoid yellow or other stark colors because it will attract insects. Despite the heat, you might consider wearing the long pants for protection against the intense sun, insects or if you are afraid of falling onto the sharp lava bedrock (sadly I got to see some ugly and pretty bloody accidents). Bring along anything that is fast drying and breathable. 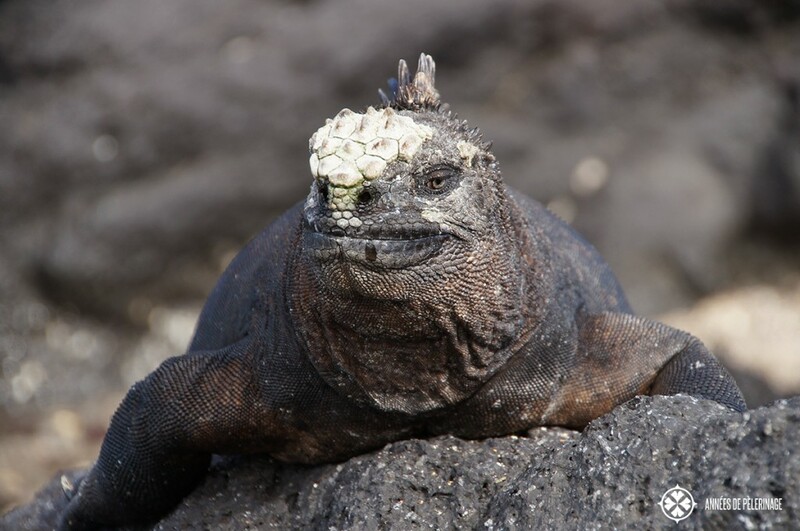 No need to be stylish on a Galapagos cruise. You will sweat a lot. I like long safari shirts because you can easily roll up the sleeves, but t-shirts will be fine as well. Again, consider packing something long sleeved for sun protection, even though most of the time it will be more than hot enough to go short sleeved. It never gets very cold on Galapagos. Sometimes there are heavy rains and it can get a bit cooler during the nighttime. A waterproof windbreaker or poncho is probably all you will need (So something like this). Some people will tell you that the highlands are colder. Personally speaking, they are still warm enough to go with just a shirt (but I also had no problems visiting the eternal ice wastes of Spitsbergen). With all the heat, it goes without saying, that you might want to pack some breathable hiking socks. Just make sure that they are not too thick. Depending on your personal preferences, normal cotton socks might suffice. I took along my jogging socks (using these) which was perfectly fine. You will be spending some time (not too much in fact!) on deck. Galapagos cruises are very informal, so there really is no need to bring any black tie accruements. A sweater, a pair of jeans, maybe a shirt or two and some deck shoes is really all you need. Smart casual or sporty chic will have you overdressed even on Celebrity and Silversea cruises (tried out both). The sun on Galapagos will be fierce, more so for the abundance of reflecting water. It will be very hot and steamy, with a very high risk for sunburns. For the average European type this actually means hiding most parts of your body under the fabric, and the ones in the open under layers of sunscreen. Again I absolutely do stress to use that sunscreen in a very liberal fashion. Do not forget your feet or ears or you will regret it 5 minutes later and suffer for the rest of your stay. Also, do not make the mistake of packing too little sunscreen for your Galapagos cruise. Adapter plugs for power (get a good one like the Worldwide Travel Adapter; I am carrying mine around since ages). Do not bring any organic matter whatsoever to Galapagos. This means ANY food, seeds, plants or animals (dead or alive). You will be facing tight security measures and all your bags and belongings will be subject to inspection. These checks will be performed on departure (usually Quito or Guayaquil) and again on arrival in Baltra or San Cristobal. The reason behind that is obviously keeping out all threat to the unique flora and fauna of Galapagos. Other than that I already mentioned that packing any formal wear on your Galapagos cruise will be a waste of luggage space. The same really applies jewelry or tons of make-up – it is just not needed. Your tie can also safely stay on its hanger at home (and that is coming from a guy who thinks that packing light is the biggest urban myth ever). Also, consider that you will be spending a lot of time on excursions. 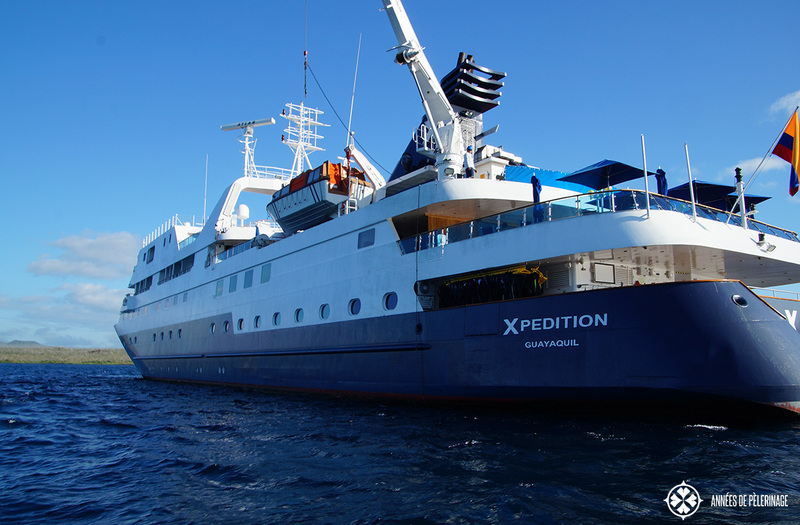 Most cruises style themselves expedition cruises and will offer a wide variety of lectures. Your average Galapagos cruise will be very busy (and that’s why you are paying such a premium). There really is no need to pack too many books or other ways to idle away your time. You will not be idle or have downtimes. So with this last packing tip for Galapagos, I think you will be properly prepared to have the time of your life. 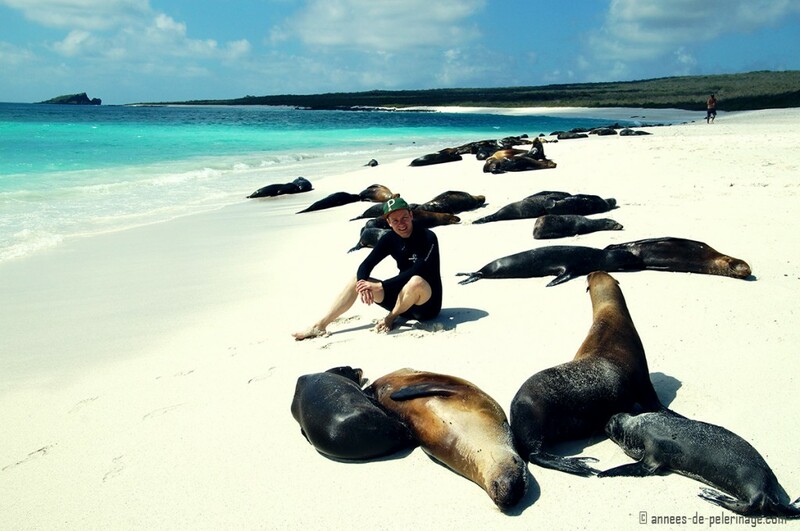 Enjoy the many precious moments, respect the animals and nature and don’t forget to check out my guide to Galapagos. Note: This post contains affiliate links. By buying through my links you can help me cover the ever-increasing costs of running this blog – at no additional costs to you.